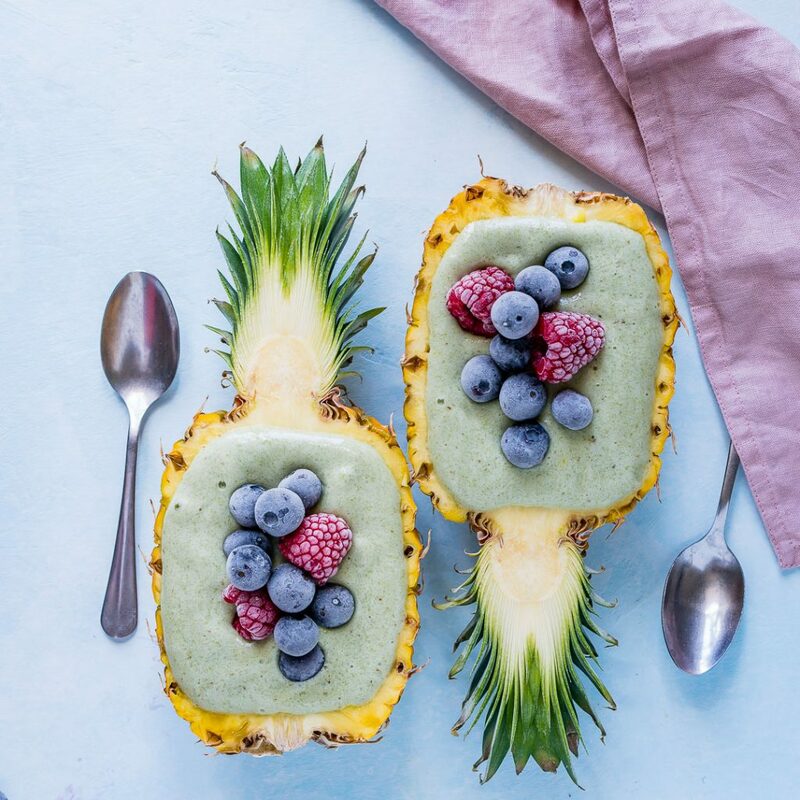 These Beautiful Tropical Smoothie Bowls with Spirulina are SO Creative! 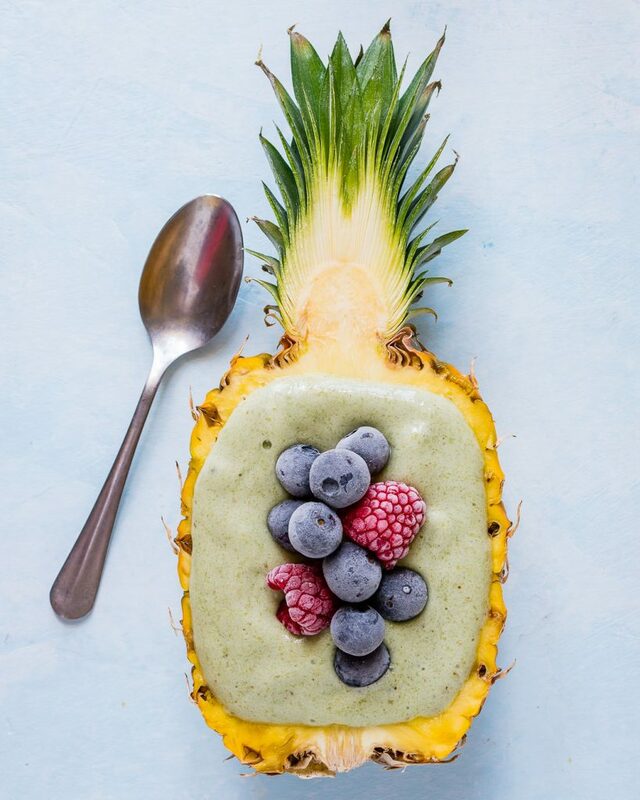 #PineappleLove! Have you ever tried Spirulina? 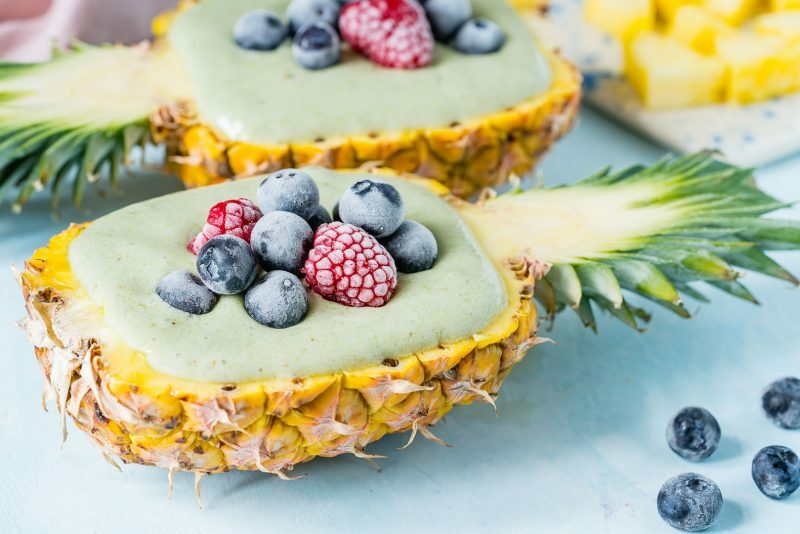 Just one serving contains an excellent source of vitamins A, K1, K2, B12 and iron, manganese and chromium, a rich source of health-giving phytonutrients More iron than spinach, 600% more protein than tofu, 280% more antioxidants than blueberries. Carefully cut and discard the hard center, then place the fruit and juices in a blender. 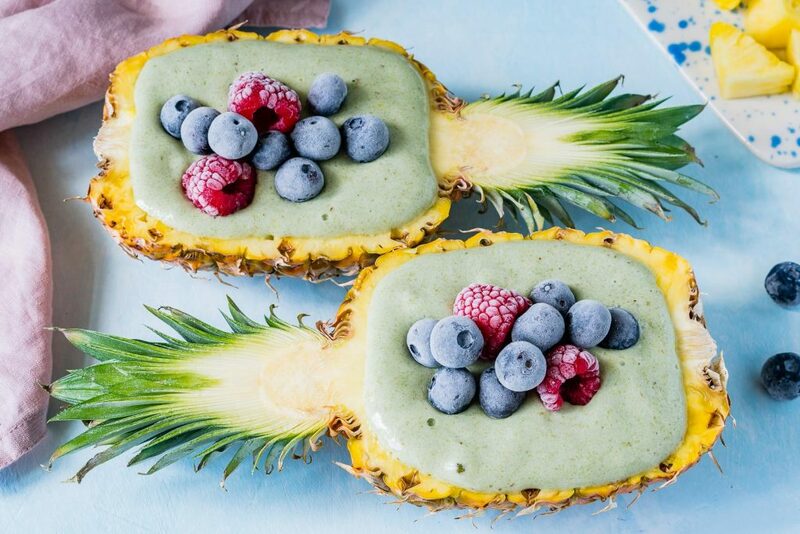 Pour the fresh smoothie into the pineapple bowls and top with frozen berries. 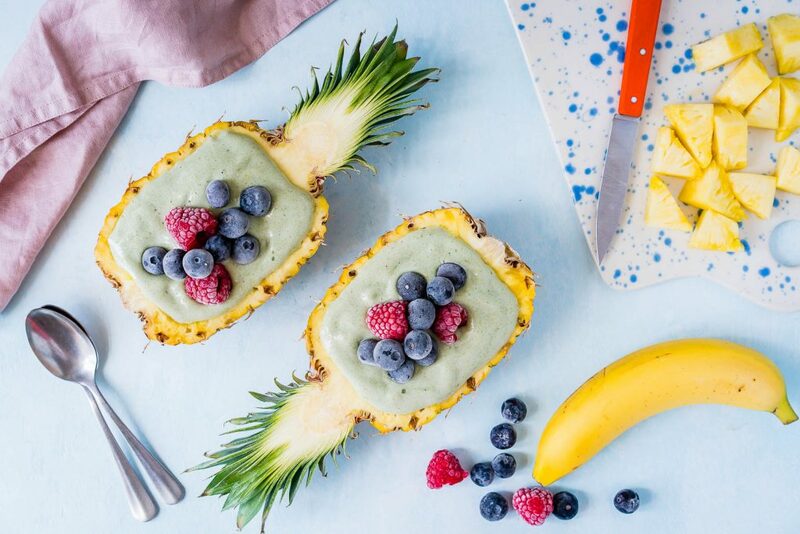 These tropical smoothie bowls are SO fun to create and share on a day when the sun is shining bright! 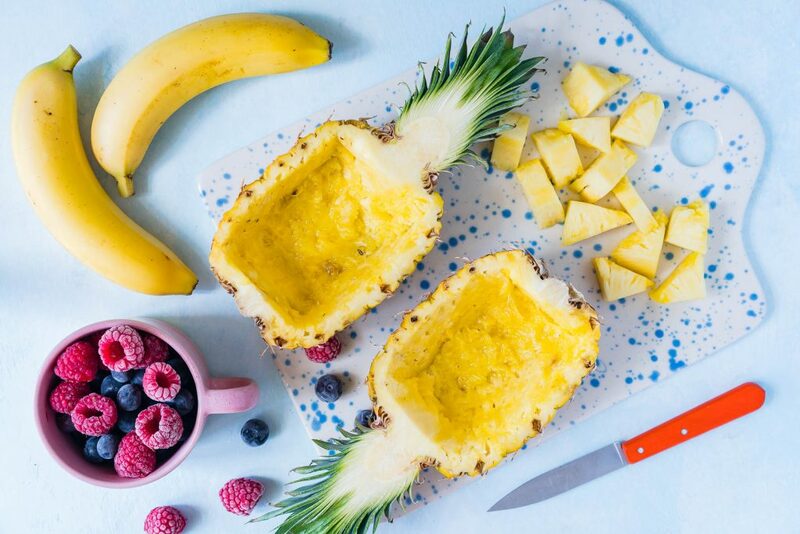 To create the Pineapple bowls, cut a small pineapple in half, keeping the green crown on.